Flyweight contender Joseph Benavidez wasted no time booking his next fight as he returns to action at UFC 233 to face Deiveson Figueiredo on Jan. 26 in Anaheim. More flyweights head to Cali! @JoeJitsu steps right back in the Octagon against @Daico_DuesDaGuerra at #UFC233 in Anaheim! 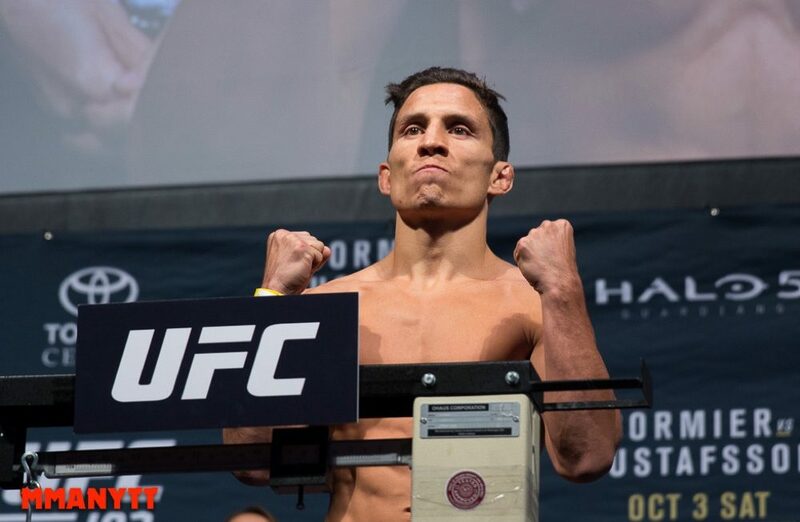 Benavidez just competed this past Friday night where he made short work of flyweight prospect Alex Perez with a first round TKO at ‘The Ultimate Fighter’ 28 Finale. After the fight ended, Benavidez called for the winner of the UFC 233 title fight between T.J. Dillashaw and flyweight king Henry Cejudo. While he didn’t get that fight, it appears Benavidez might serve as a backup just in case either one of those athletes are unable to compete on Jan. 26. Benavidez also fights at flyweight again amidst rumors that the division could be going away in 2019. UFC president Dana White said over the weekend that the future of the division was ‘murky’ but made no declaration on whether or not the flyweights would survive further into next year. For now, Benavidez will just focus on facing another ferocious flyweight contender in Figueiredo, who has gone undefeated in his UFC career thus far with four straight wins including three by knockout or TKO. Benavidez vs. Figueiredo is the latest addition to the UFC 233 card that features the flyweight title fight as well as Ben Askren’s long awaited Octagon debut as well as grappling champion Kron Gracie making his first appearance in the UFC.